See some of the top picks for books on kindness from teachers and parents. Books about kindness are so powerful for children. They help teach empathy, compassion, and of course kindness. As a preschool teacher, I can tell you that some concepts are really hard to teach, especially when it comes to social/emotional areas. Children need lots of practice, modeling, and one of the most effective approaches is storytelling. Luckily for us, there are lots of kindness books for kids to help children relate it to everyday life. 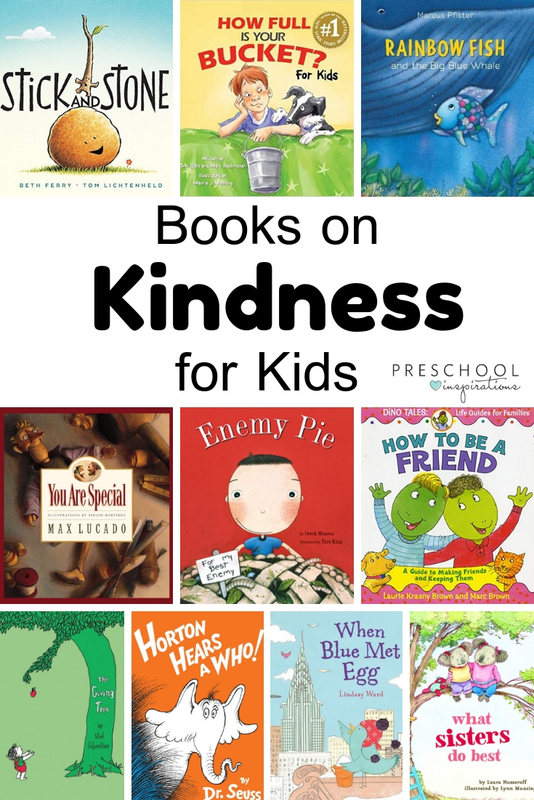 But these aren’t just kindness books for preschool, they teach all ages. 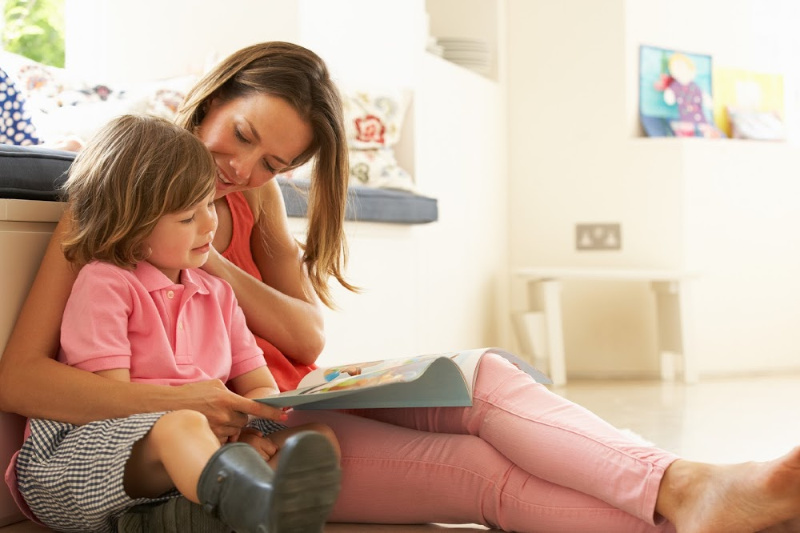 Reading books on kindness to children can give them lessons and perspectives that will last as they grow older. Plus, I also love the lessons I hear when I read kindness books to my students or my own children. We asked our readers what their favorite books on kindness were, and we loved getting their responses. Here’s what our teacher and parent readers said about their favorite books about kindness. This book was written to help young students understand how words and actions make others feel. Positive words and actions “fill” your bucket while hurtful things “dip” into your bucket and take your joy. This book is so helpful for children who are still learning to use kind words, share, and be respectful. – Lauren V.
It’s simple text packs a big punch. We can show kindness is many different ways, and just might make a new friend through one kind act. I love the play on words that is used in the story as well as the adorable characters. – Stacy R.
A cute story about being kind to maybe someone we don’t want to be but our kindness builds a friendship. – Beth F.
A wonderful story about perception and assuming things about others without getting to know them. The rainbow fish assume that the whale just wants to eat them and they hurt his feelings, but after they talk with him they realize that he just thought that they were pretty and liked looking at their colors. When we read this story in preschool we talk about getting to know one another and using our words when we have a problem instead of just being mean and assuming we know what the other person is thinking. It is a cute story with a good life lesson attached. – Ashley B. An oldie but goodie! The simple language in this one is great for young children. The metaphor is easily understood as well. It lends itself well to reminding children to be kind. “Are you being a bucket filler?” – Nikki C.
This book is very relatable to early childhood educators. There is often that one “invisible” child in your class. One that needs nurturing, and care. In this book, a young boy who doesn’t have friends, meets a new child who is from another country. The other children make fun of him for being different. He eats different foods, and uses chopsticks. The Invisible Boy reaches out to him when no other child would. They become friends, and helped others see that being different can be something special. – Jennifer S.
This book both breaks my heart and warms it at the same time. We all have those “invisible” students in our class because the Nathans and Sophies take so much of our energy and focus. As a teacher, this book always helps to remind me to make a more conscious effort to spend quality time with each and everyone of my students daily. I enjoy how this story shows how Brian is feeling by the lack of colors in the illustrations. It conveys how one act of kindness can make someone feel special and “colorful”. – Stacy R.
One of my favorite kindness books. If you need a story about selflessness, this is it. Blue, a delightfully sweet bird, doesn’t know that she’s not really helping an egg (Psst…it’s a snowball). Her immense urge to FIND EGG’S MOM is an example of pure kindness. And in NYC, this seems like a dauntless task. (I mean, how many birds live in the city? Millions, I guess.) And I have to say that while this seems a bit silly, I get choked up every time I read the line, “Egg! You’ve bloomed!” when Blue discovers a pink flower in place of Egg. Blue is so, so happy that her adventures have paid off. -Gina V.
As a mom of two girls, I am constantly looking for books where characters treat each other well. In my mind, there are far too many books showing characters treating each other poorly before discovering the error of their ways. I love finding books where the characters are good models of respectful, kind behavior without having to err in the other direction first. In this book, the sisters are shown finding the many ways they can share and help each other. It is short and sweet, but a great sibling book to remind kids of all the great things their siblings can do and be. -Amanda S.
This is an alphabet book that gives concrete examples of being kind. It lets children see that not only can they be kind, but they already are! It is relatable to kids and takes an abstract concept and makes it personal. Alphabet books lend themselves to classroom compilation books really well, and kids enjoy adding their own ideas. This book shows how easy it is to be kind. – Nikki C.
I think kindness is a theme in all the Otis books, but in this particular book, Otis shows kindness even when it is not returned. – Veronica H.
This book teaches children to look beyond what they visually see in others because you never know what a person can become. -Tish S.
I love the message of everyone is different is it’s ok and great to be your own self. The kindness that is shown between the two puppets and the master is so touching. – Jessica H.
This book helps kids learn how to be a great friend! A helpful resource as young students navigate social skills and handle tough situations with other kids. – Lauren V.
It shows how different generations can help each other – Carole C.
The essence of kindness. Amos, the zookeeper chooses to go above and beyond his job by showing kindness to each animal. When he gets sick, the animals have learned from him and decide to go and visit him. – Laura S.
As we learn about our ABC’s, we can discuss if we are like Moose, unable to wait our turn, and feeling left out. Then, talk about how Zebra includes Moose, and what we can do to include others. -Melissa D.
Such amazing illustrations. I just LOVE the joyful rabbit and mouse. With most of the story being communicated through pictures, it’s a great book for discussions about what is happening and how, in the end, doing the kind thing pays off. -Stacy L.
A very simple way to open a discussion about random acts of kindness. The message is about doing nice things for people also makes you feel good about yourself. – Helen S.
Showcases how “it’s the thought that counts”; it is kind when people show they care about you, even if it’s not always perfect! – Rebeka A. A book that is relatable to the students in my district. We have food bags that are sent home each Friday with some of our students due to lack of food at home. We also do a food drive each November. The book explains the importance of helping others and showing kindness. – Katie G.
This is a lovely story of kindness, generosity, and friendship. The story seems simple on the surface, but it always tugs rather hard at my heart strings. As a child, I felt myself wanting to hug the poor, worn out, and forgotten tree. I felt so sad seeing it become less and less tree-like. What I see now, as a mother, is that the kindnesses and gifts the tree shared with the boy were not contingent upon the boy’s behavior. The tree just loved the boy and put him first, giving until it had nothing left to give. How special it is to be so loved. All children should know this level of unconditional love. – Stacy L.
Very cleverly written to get a message to young readers about how to be a friend and how to be kind, and ways that aren’t so friendly or kind. – Kellee G.
The ultimate book on kindness. Horton faces criticism and much hardship to save unseen Who’s that he cannot even see. Horton is the picture of kindness when faced with a great deal of stress. – Kim B. A book about a bear who is filled with love and hugs everyone and everything he meets. When he is angered by a man who is about to chop down a tree, the bear realizes that he has two choices: he can act on his anger or he can show kindness. I like this book because it shows how the power of kindness wins in the end. -Melodie L.
Although I didn’t immediately like this book because it didn’t have a traditionally happy ending, over time I began to ponder its message, and now consider this to be a great teaching book about kindness! It provides an important and valuable lesson about being kind TODAY and not waiting to take action. -Brenda M.
Molly Lou Melon is a pint-sized character that seeks the advice of her grandmother as she starts a new school. There are many hardships and acts of unkindness that Molly endures. Molly’s grandmother encourages her to “Stand Tall” each time. Soon her shortcomings become the characteristics that set her apart from the rest. It is a story that strengthens the inner self and reminds us to pay close attention to the people that lift us up and make us stronger. – Heidi U.
Kevin Henke’s book is a sweet story, and a favorite of mine, about how the kindness of a teacher gives the main character, Chrysanthemum, the courage to be herself. When her beautiful name becomes something other students tease her about, her parents and teacher encourage her to continue to be who she is and never change to please others. This is a theme to which we can all relate and Henke’s story offers the perfect examination of the feelings associated with being put down and being seen as “different”. My favorite part of the story comes at the end with Chrysanthemum’s teacher naming her new baby after Chrysanthemum. – Stephanie W.
Do you have a best-loved book on kindness? We’d love to hear your favorite kindness book! Get our exclusive Social and Emotional Skills Progressive List by becoming a VIP Subscriber and getting access to our subscriber library too. We keep your information private and secure and you can unsubscribe at any time.